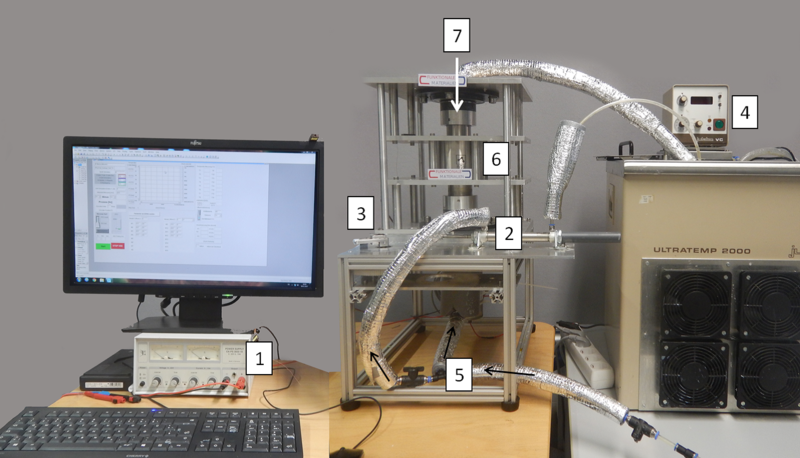 Magnetic refrigeration demonstrator set-up. All relevant components are labeled: (1) Power supply for electro motor; (2) Waterpump; (3) Setting for phase difference; (4) Water reservoir with heating- and cooling conditioner; (5) Water hosepipes; (6) Halbachmagnet; (7) Regenerator insert. Energy efficient cooling will be one of the most important challenges for our future society. Energy demands for refrigeration and air conditions are expected to grow dramatically in the coming decades. All refrigeration technologies have one thing in common: they contain a refrigerant which changes state, and in doing so, changes temperature. Magnetic refrigeration is the only alternative cooling technology which would simultaneously eliminate the need for harmful refrigerant gases and reduce the energy requirements, and hence carbon dioxide emissions. Magnetic cooling offers up to 30% improved efficiency as compared to conventional refrigeration technologies. 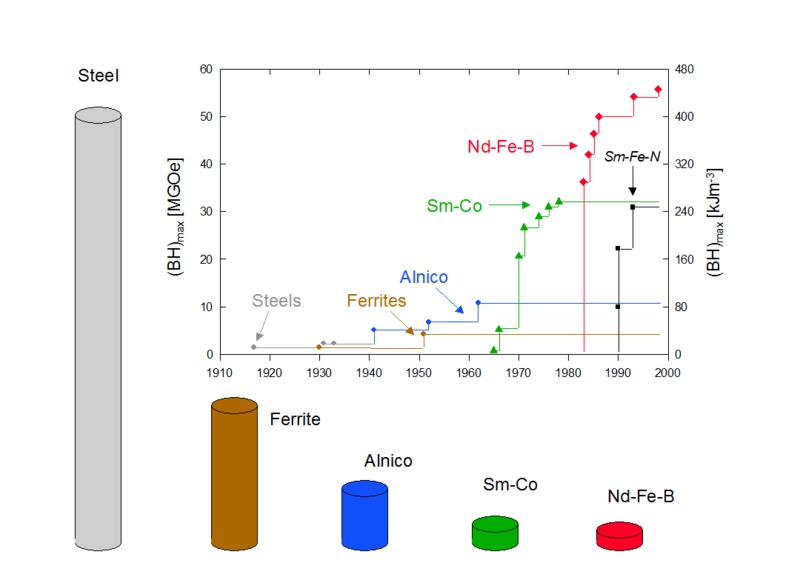 Technical University of Darmstadt is working on the following topics: Synthesis, comprehensive characterization and evaluation of all magneto-caloric materials, understanding and control of critical properties, development and scaling of efficient processing and shaping techniques (incl. raw materials and processing and annealing steps), demonstrator building allowing material testing under real application conditions accompanied by material and system modelling utilizing the material libraries.